You want to go freelance? Good for you! I know going freelance was the best decision I ever made in my career (if I can call it a career, that is). It was hard, I had my fair share of rejection letters and sleepless nights but it was worth it, all of it. All the efforts and time I put into crafting my profile, learning how to write cover letters, improving my marketing skills and my people skills, paid off. But before I did all that, I had to ask myself some tough questions. 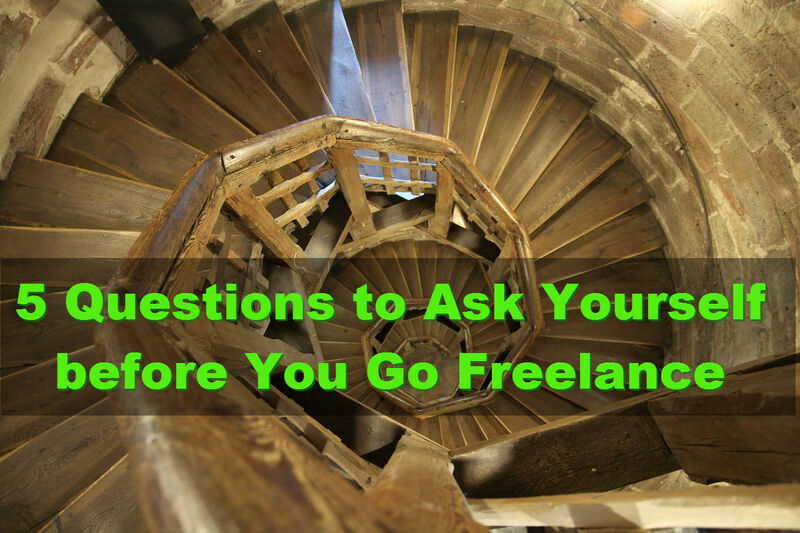 Here are 5 questions you should ask yourself before you make the decision to go freelance. Q1: Why do you want to become a freelancer? There is no right or wrong answer. It’s not a tricky question either. The answer will simply determine the direction you go from now on, so be honest with yourself. Maybe you have a day job but money is not enough and you are looking for some extra cash? Supplementing your main income source is a fine reason to go freelance. Maybe you lost your job too many months ago for whatever reason and you are sick of looking for another cubicle to be stuck in from 9 to 5 every working day? Or you just never seem to like any of your potential employers who want to hire you? Those are fine reasons, too. Going freelance will bring variety in your work day. It will also let you choose your clients and the projects you work on. You won’t have to put up with anyone’s crap ever again. Maybe you have been at the same firm for far too long and now you feel stuck and unmotivated to pick yourself up and even go to the office, let alone do your job? You don’t feel challenged at work? You stopped growing professionally and personally so long ago that you don’t remember how achieving a major goal feels? Definitely read on – going freelance may be just the answer to your problems. Kidding aside – ask yourself why you want to become a freelancer. Free your mind and write down all that comes to mind. You never know what really matters until you see it written in black and white. Q2: What do you expect of being a freelancer? If you answered truthfully to the first question, I bet you $1 you already have pretty clear idea of your expectations, too. If you are after easy money in no time, you shouldn’t become a freelancer. But if you are motivated to grow, you want to prosper, to live well, to be seen for the professional you are, to achieve inner peace and maintain work-life balance, to enjoy life as it happens and to make good money doing what you love – keep on reading and asking these questions. Ask yourself what are your expectations of being a freelancer; what is it that you want to achieve by going freelance. Answer truthfully and think big. Q3: What are your long-term plans? If you go freelance to supplement your day job income temporarily and you don’t want to break free from the rat race, that’s ok. But I am not sure if you will make it in the freelance world with this mindset and attitude. Every successful freelancer I know has been driven by their desire to be independent, to grow personally and professionally, to be valued for what they are. Even those who started out part-time along with their day jobs, at some point realized being a freelancer gives them the freedom they wanted all along. So they set a long-term goal to succeed and make a name for themselves in the freelance realm. Is this what you want? Do you see yourself retiring from your next day job or do you want the freelance lifestyle? What are your long-term plans? Write down your honest answer. Don’t be afraid to thing big – as Wayne Gretzky said, “You miss 100% of the shots you don’t take”. Q4: Do you have what it takes to succeed as a freelancer? Let’s start with self-discipline and time management skills. You need both because no boss will ever breathe down your neck, making sure you do your job. If you fail to complete your work or miss a deadline, you are to blame and take responsibility for it. You make the rules of the game but you will succeed only if you follow them. Next, you need to be proactive. Nobody will find you and tell you how great you are at whatever you do. Nobody will come to you on day 1 to offer you a contract worth thousands of dollars. You look for new clients and projects. You compete with fellow freelancers, some of whom may even be better than you. You take initiative to succeed. Persistence is another personal trait you need to succeed as a freelancer. Every beginning is hard. Going freelance is no exception. You will have to send hundreds of cover letters before someone gives you a chance and awards you a project. Determination is yet another thing you need to succeed as a freelancer. Every time you apply to a project, you will either get a rejection letter or will not even hear back from the prospect with feedback why you didn’t make it to the short list of candidates to be interviewed. You must believe in yourself so that you don’t give up when times are hard. You must believe in your skills so that you keep on sending cover letters. You won’t succeed, unless you are determined to. Also, you need good communication skills. They will help you work well with different people with different backgrounds and quite possibly, from different countries. You have to fit well in a virtual team and that is possible only if you have good people skills and communicate well with others. Let’s not forget your positive attitude! Nobody wants to work with whiners, right? Forget about the I-can-but-nobody-gives-me-a-chance mentality. If you go freelance, you and nobody else is the force that can make everything and anything happen. You will succeed only if you choose to be positive and adopt a can-do attitude. And finally, you need your professional skills. You have to be good at what you do. Plenty of people can do many things relatively well. To succeed as a freelancer, you have to stand apart from the crowd. The easiest way to do so is to be superbly good at what you do and show it to your prospects with a hint of a personal touch. No matter what you do, nobody is like you. You are unique. Use it. Don’t worry if you don’t have all of these qualities just yet. All of them can be acquired and developed. Write down the skills you have. Write down the skills you don’t have and think well how you can learn them. This is key. If you don’t want to change or develop any of these skills, you better find a new day job because all of these qualities are a must-have to succeed as a freelancer. Here is a more detailed post with 9 qualities you need to succeed as a freelancer. Q5: Do you have the support of your friends and family? It’s been a week since you decided to go freelance. Every day you spent 8 hours reading job posts, writing cover letters, browsing prospects’ sites, thinking about how you can add value to their businesses, and yet – there is not a single interview that you have been invited to. It’s depressing, I know. In this very moment it is of crucial importance to have a close friend or family member to turn to. You will need someone to talk to, someone to give you courage, someone to remind you why you decided to go freelance in the first place. They will remind you that you knew it would be hard and now is not the time to give up. You are one week and 57 cover letters closer to landing your first project! You will still manage to succeed if you don’t have anyone close to believe in you. But your friends and family support will definitely come in handy when times are tough and when you are full of doubts. Find one or two people who will be there for you. Tell them what you are planning and what their role will be in this venture. Ask them for help and support when you need it. If you don’t have anyone, at least join a few websites and groups where more experienced freelancers will share their wisdom and give you courage when needed. 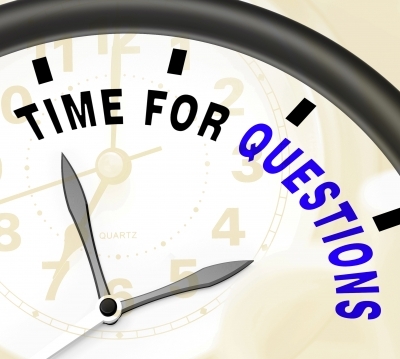 What other questions would you consider when going freelance? These are right on the money Diana. Freelancing is not for everyone and sometimes a quick decision because of the loss of job, prevents someone from looking at the long term goal of a freelancing career. Thanks, Craig! Are you just getting started with freelancing? Diana — I would add another question, “Can you tolerate ambiguity?” That is, can you live with uncertainty? You may have a ton of business one day, and then, all of a sudden, your business dries up. You need to have the will to succeed and not be thrown by the ambiguity that is the life of every freelancer.